The under fire Italian watched ask his hapless side soaked in six unanswered goals against ruthless Man City in a Premier League match on Sunday. On form Sergio Aguero was the star at the Etihad Stadium, hitting a hat-trick with Raheem Sterling and ilkay Gundogan netting a goal each to seal the big win which took City back to the top of the standings. 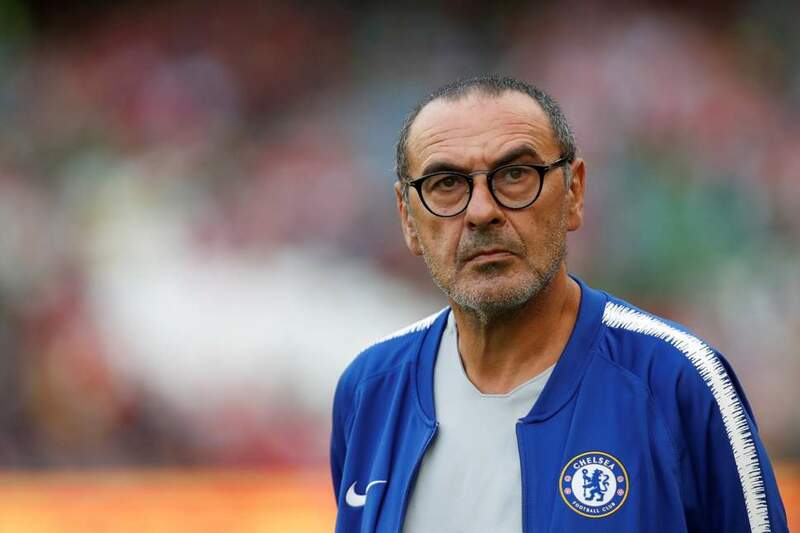 “We made a lot of mistakes against the wrong opponents,” said Sarri. He added that he is worried about his team and the performance, not his job. City’s home record has been scary; the Citizens have won 7/7 of their last games at home, scoring a whopping 35 goals and conceding just two. Chelsea on the other continued with their awful away record which has seen them lose four of their past matches on the road with 13 conceded goals without a single scored. The Blues dropped to 6th in the standings below Arsenal with both teams tied on 50 points a piece.